When Srivalli announced cooking bookmarked recipes as one of the themes for BM # 25, I was thrilled. 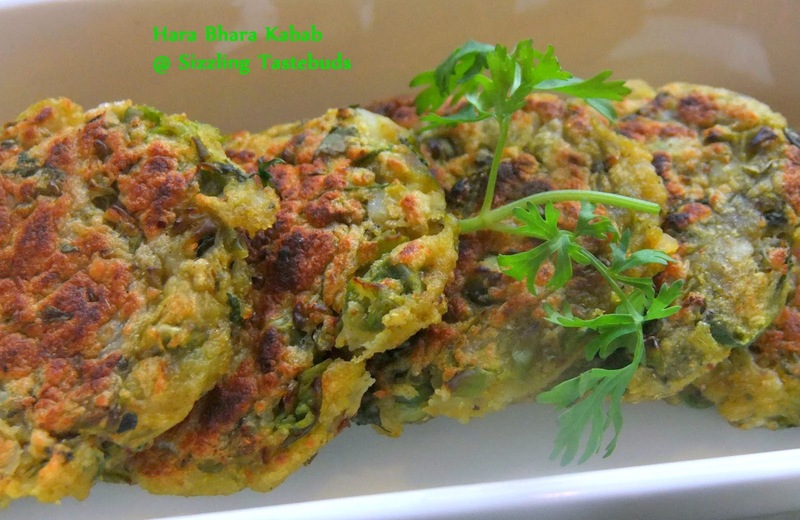 For I had to make this Hara Bhara Kabab that I had bookmarked from Sanjeev Kapoor with some minor variations. Both the author and the dish appeal to me. My family loves it a lot and we order this kebab everytime we go to a restaurant. Somehow Tandoori dishes appeal to me & S a lot - be it Naan / Kulcha / Kebabs etc. The earthy smokiness of the dish may not be replicable in a household kitchen, but nevertheless this dish was a must try and I loved it to bits :-) Try it out and you would love it too. You may also pan fry this but I grilled this in an Oven and got a slightly crispy crust which we loved. This makes a great appetiser for parties. Check out how to make this. 3) Blanch spinach for 3-4 mins. Rinse in cold water. Drain and puree without any water. Meanwhile preheat oven to 160C and slightly grease a baking tray. Line with foil. In a large bowl, add the mashed potatoes. Tip in the spinach puree, blanched peas paste. Add salt, dry masala powders, corn flour, greeen chillies and all other ingredients except bread crumbs and oil to make a dough. Divide the dough into equal parts. Flatten into slightly thickish patties. Roll in the remaining bread crumbs. Bake for 12 - 15 mins on both sides till golden brown. 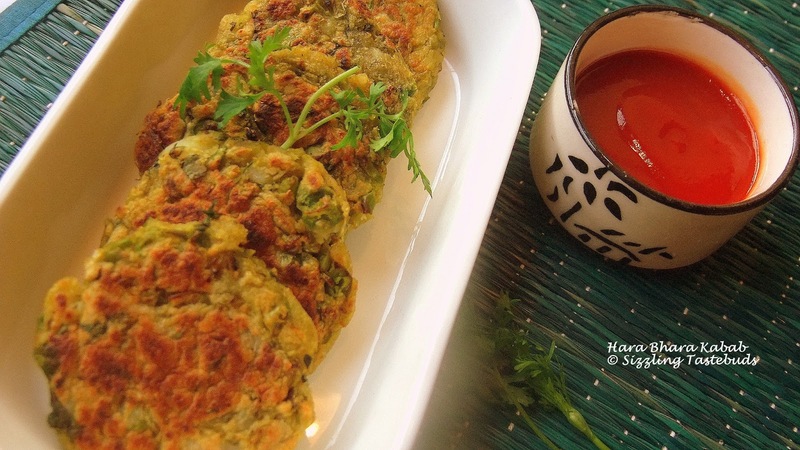 Healthy and droolworthy kababs, wonderful spread. OMG! your pic tempts me a lot. Would love to have a bite now, mouthwatering here by seeing those perfect kababs. They are drool worthy kababs, I am sure. Those kababs are really so tempting..
What a delicious kebab. Perfect snack food -- healthy too.. I too bookmarked this recipe from him but still have to try this. You made them so perfectly looks so tempting Kalyani.